BUNDABERG'S Rebecca Tran achieved a feat not done in almost 50 years at the Bundaberg Open last weekend. She became the the first Bundy player to win the women's open singles for a second time since Mary Gollan achieved the feat in the 1970s. Tran, 16, reclaimed the title that she first won in 2016 defeating Michele Brockhurst in an enthralling seven game final. In the men's, former Chilean player Bruno Levis won his sixth men's open singles title, beating Rockhampton's Joel Coughlan in five games in a high standard of play in the decider. Bundaberg's success continued with Leah Scott winning the under-18 singles and Bernadette Mitchell winning four events in veterans including women's over 40 and over 50 singles and the over 40s and 50s doubles events with her husband Steve. Andrew Udal claimed the men's under-18 over Braydon Chapman with Tran winning the open mixed doubles with Rockhampton's Matthew Pettett and the U1300 doubles. 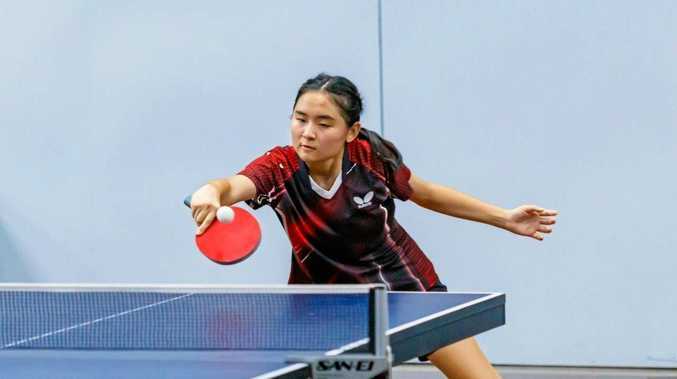 Tahia Zia won three titles in very impressive performances, taking both the women's under 900 and under 700 singles events as well as sharing the under 700 doubles with Matthew Udal. Tayla Scott won the women's under 21 singles from Caitlin Woods and claimed the under 900 doubles with Kye Meuli. Natasha Jefferson won the girls under-15 title and the under 700 singles. Brendan Connolly also won two singles titles in one of his best ever tournaments, claiming both the under 1100 and under 1300 events with Peter Spratley winning over 60 singles and the under 1500 doubles with Andrew McCurley. Finally, Pieter Poldervaart and Dale Shailer combined to beat Brendan Connolly and Michele Brockhurst in the under 1300 doubles final, while Vinuka De Silva won the boys under-13 singles as Brockhurst won the women's under 1100 singles title in another dramatic five game final. In all, 95 players from eight clubs competed in more than forty events throughout the tournament.